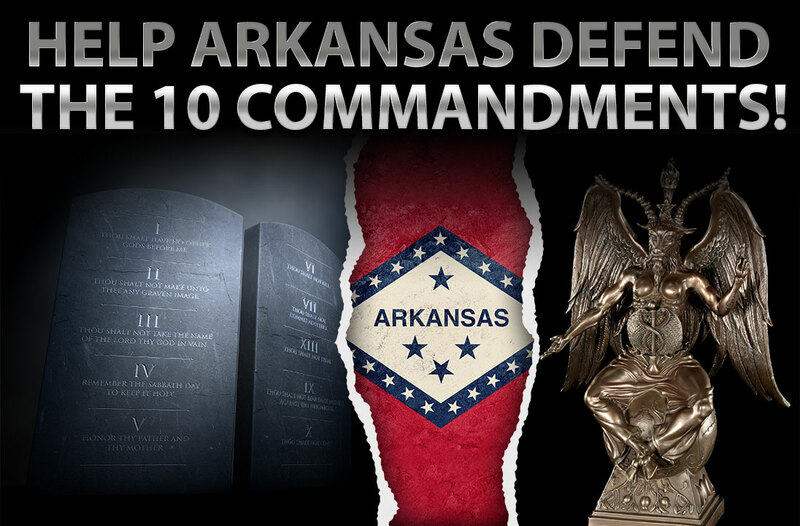 Help Arkansas Defend the 10 Commandments! The State of Arkansas recently erected the Ten Commandments at the State Capitol. Satanists and atheists alike have stated their purpose to sue the State if these are not removed. Worse, there is a threat that a satanic statue may be erected. Please sign our petition urging the State of Arkansas to stand firm and keep the Ten Commandments and reject Satan. Remind Arkansas that we are a nation under God and stand for God's Law.